If you are a fan of word games, LATimes is the perfect website for you to play them online for free. Word games test your vocabulary, spelling, and grammar skills in a fun and fascinating way. The world’s most famous word game is, for sure, the crossword puzzle. 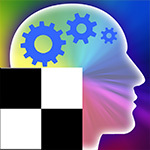 Our online crosswords are easy to play on your computer, tablet or phone, without the need for a pencil and an eraser. And do not forget to check out cool twists on traditional games, which are still quite easy to master. Scramble fans will love playing Outspell, and those who enjoy words will definitely like Spellbound as well as Drag’n Spell. We also offer word search games that appeal to both adults and kids and have different difficulty levels. If you like the adrenaline rush from playing on a timer, you’ll love WordWipe, the most addictive word collapse game. Check out our website to find out what other new games we have to offer. We definitely have the one you're looking for. Dive into the deep sea of word games right now, score your way up to the top and get your name on that leaderboard! You can also find and play free online matching games of different complexity on our website.